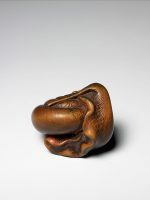 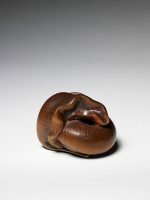 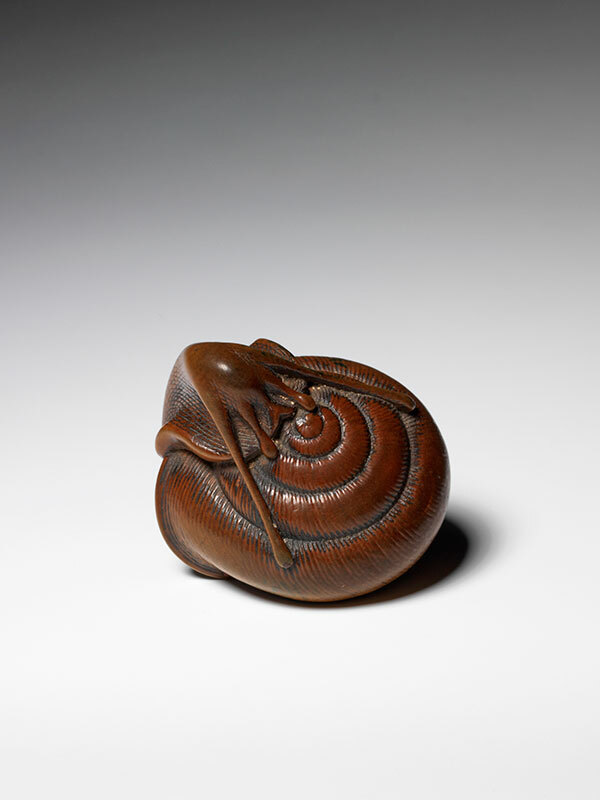 A wood netsuke of a snail, easing its way out of its shell. 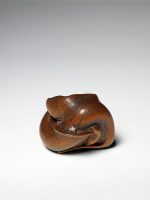 The upper tentacles feel their way over the ridged helix and the body ripples as it explores the world outside its shelter. The reddish-brown wood of the shell is minutely textured, as is its body, the dome of its head burnished with wear. 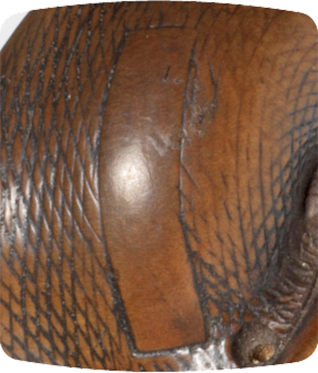 The eyespots of the antennae are inlaid with dark horn.